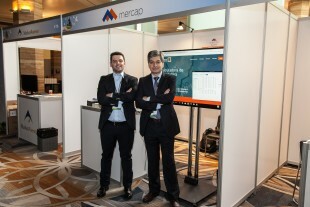 Mercap participated as sponsor of the 51st Annual Assembly of FELABAN, the largest financial conference in Latin America, where 2,000 international banking executives from 54 countries met in Miami to analyze the most relevant issues in the industry, among them found: financial inclusion, financial risks derived from climate change, international trade and global market volatility. The meeting was organized by the International Banking Association of Florida (FIBA) and the Latin American Federation of Banks (FELABAN). This four-day Annual Assembly represents a unique platform to contact executives from the financial sector, large or small financial firms, opinion leaders, businessmen, regulators or members of the government.